Multiplex 10 is an official selection at the 2018 FilmQuest Festival! 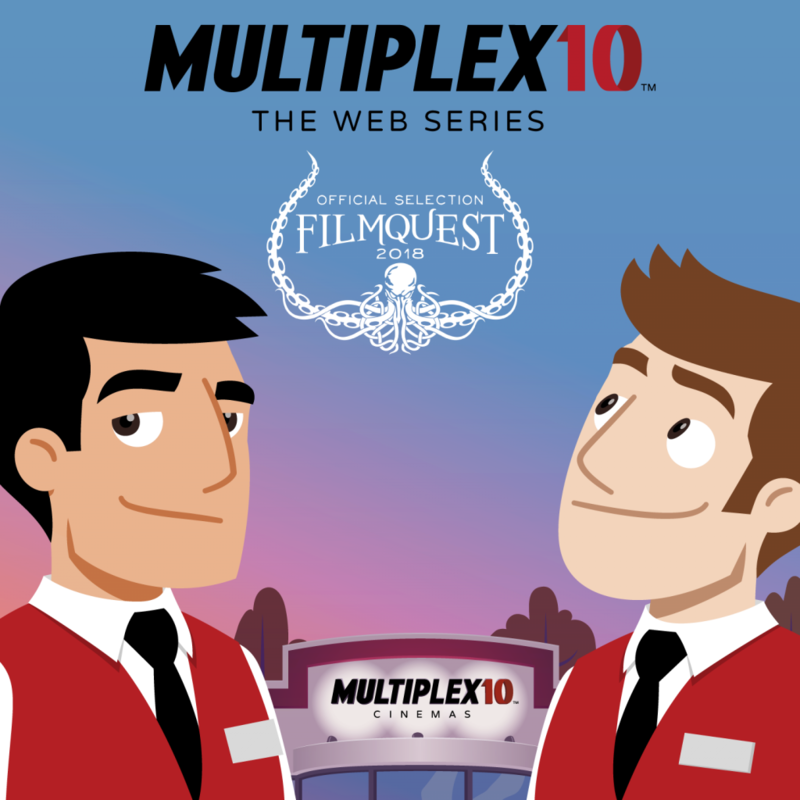 I’m absolutely thrilled to announce that Multiplex 10: The Web Series is an official selection at the 2018 FilmQuest Festival! This is one of the bigger festivals that I’ve submitted to, and easily the biggest one that we’ve been accepted at, so I’m really excited that we were selected. The other web series selections that I’m familiar with are terrific, too, so we’re in fantastic company. They will be screening the “Self-Help” episode at the actual festival in Provo, Utah, this September. Check out the FilmQuest website for more details. A Multiplex 10 Movie Minutes review of The Incredibles 2 is coming NEXT WEEK! This review has been a little slow to produce because the Kickstarter project and freelance work were eating up my time… so it’s not quite as timely as I like these reviews to be. But—like all of the Movie Minutes reviews—it’s not just a pair of movie reviews; it’s also a fun, character-driven scene with Kurt and Jason talking about movies. The Multiplex 10 Writers’ Room reconvened last night — and we started mapping out what we’re doing through August. These things have a tendency to change, so I don’t want to announce anything too far in advance, but after one more Movie Minutes review (of Sorry to Bother You), we’ll finally be working on the first new web series episode since “Self-Help” was released in May!